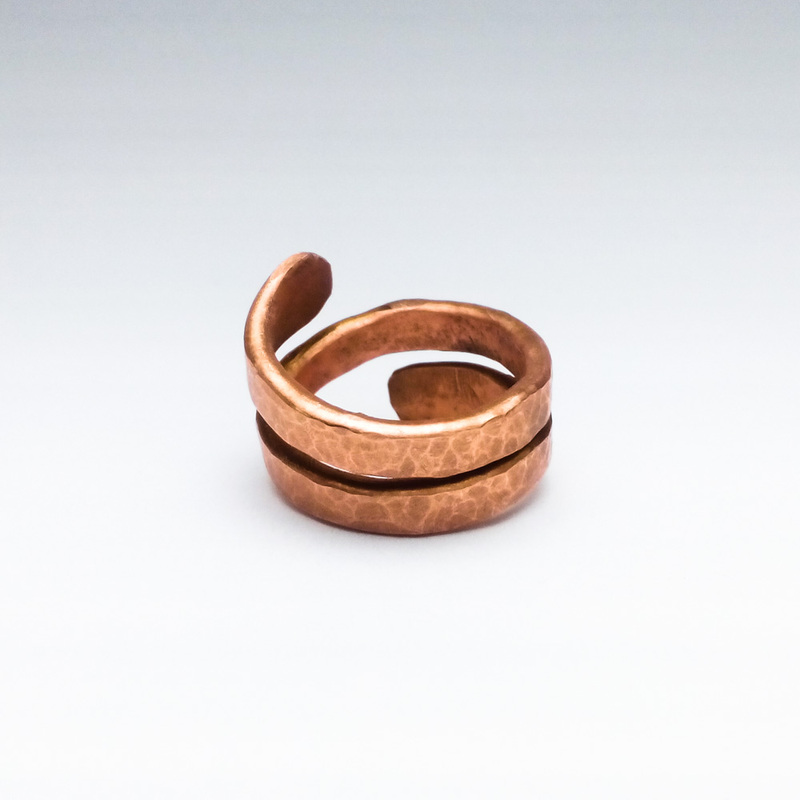 Made by Black Six Jewelry, the Karma Wrapped Copper Ring is a hammered copper spiral ring whose beautiful and sleek finger-wrapping design wraps twice around your finger. Although Karma is usually worn with the rounded flat ends on top of the finger, the ring can be rotated 180 degrees giving the look of a double banded ring. 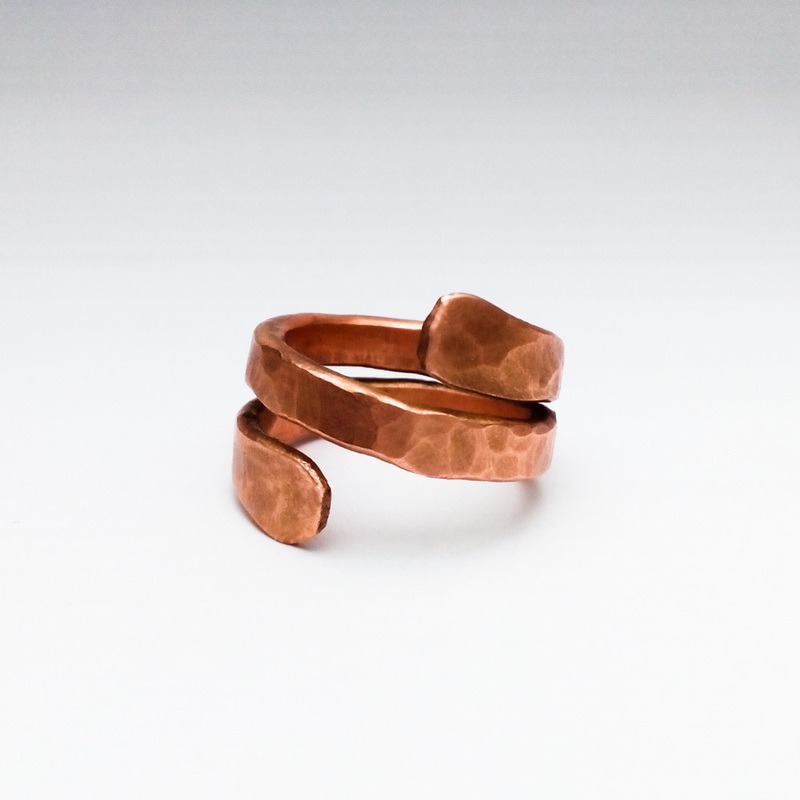 Either way, the Karma Wrapped ring is a unisex design that looks good on both men or women. Karma is a little over 5/16″ (8 mm) wide at its narrowest point and is 11/16″ (16 mm) across the front face of the ring. This ring is very comfortable for wearing every day and feels great on either hand on any finger. Not every Karma Ring is individually photographed. 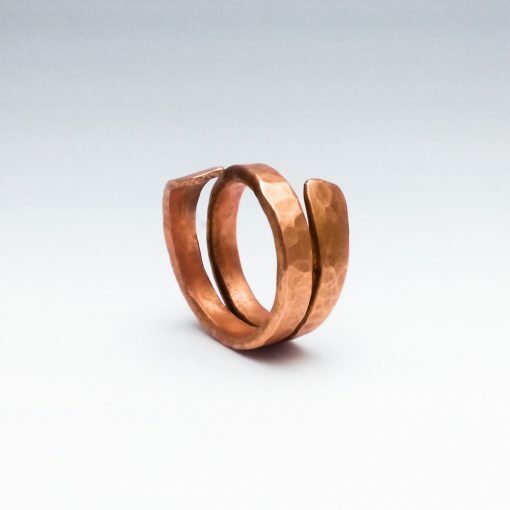 The ring you receive will be very similar to the one pictured but may differ slightly due to variations during the fabrication process (hammering, patina application, etc). I love this ring! It was just what I was looking for and is just as described. Mark was great about keeping in touch. I would definitely shop here again! This ring is not only beautiful, but from the moment I put it on, the arthritis in that finger has gone. Seriously. I may have to get one for my other arthritic fingers. I love this ring!